Procrastination is the #1 behavioral disease faced by people today. Show me anyone who procrastinates, and I will show you a person who struggles with time management, organization, making decisions in a timely fashion, the lack of discipline, the lack of consistency, and on and on we could go. Procrastination is a thief that paralyzes a person. 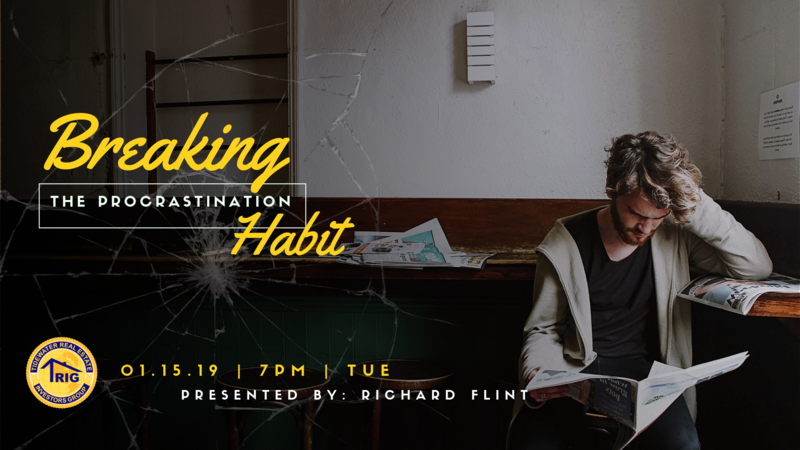 In this seminar, participants are going to learn the “why” and “how” of procrastination and be given a process that allows them to break the procrastination habit and replace it with being able to complete and move forward with their life and business. What you do with your time is a statement of what you really want for your life. If you choose to procrastinate, you are saying you are not serious about having the success you could have with your life. Why Do People Choose to Procrastinate? When you choose to procrastinate, you make your life more difficult than it was meant to be. Your choices make your life either difficult or free to achieve. Procrastination is always a planned behavior. Stability: When you are trapped in incompleteness, you don’t have the stability it takes to keep moving forward. Time: Time that is wasted with procrastination steals moments of opportunity you can never get back. Energy: Every time you look at a stack that needs your attention, it depletes your energy reserve. Soon you get tired at looking at those stacks and increase your avoidance behavior through reasons, excuses, and blame. Attention: When all you see is incompleteness that needs your attention, you don’t know where to start, so you tell yourself, “I’ll deal with this later.” That later never seems to be today. Lessons to Build On: Every day you procrastinate, your emotions that surround procrastination take away from your mind’s ability to use the event to move your life forward. Commitment to completing what you start, not creating stacks you are going to get to. Organization that is designed to keep you moving forward, not trapped in today. Never walk away from what you can complete right now. Treating your life as a process for growth, not as a happening that will take care of itself. Renewing your commitment to what you are doing with your life. Open to confronting your negative behaviors. Living from today to tomorrow, not yesterday to today. Richard Flint has been speaking and changing lives for over 30 years. His staying power comes from a strong following of corporate clients and associations that invite him back year after year. As one of America’s top personal development speakers and coaches, he travels and speaks over 175 times per year and personally coaches businesses and individuals while on the road. Considered a well-guarded secret by many, Richard Flint inspires, teaches, and helps people and companies to transform into their Power to Be, so they can do or have anything they want. Interestingly, he does it without you having to set goals. Richard is on a mission, which he calls a crusade, to help people have their Best Life possible. He knows how through his own experience. The meeting starts at 7:00p m.